The Contest (the “Contest“) begins on March 1st, 2019 at 12:01 a.m. CST and ends on March 17th, 2019 at 5:00 p.m. CST (the “Contest Period“). 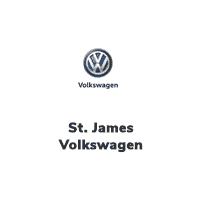 Contest is open only to residents of Manitoba who have reached the legal age of majority in their province of residence at the time of entry, except employees, representatives or agents (and those with whom such persons are domiciled, whether related or not) of St. James Volkswagen (dba St. James VW) (the “Sponsor“), AutoCanada Inc., and each of their respective parent companies, subsidiaries, affiliates, dealers, prize suppliers, advertising/promotion agencies and any other individual(s), entity or entities involved in the development, production, implementation, administration, judging or fulfillment of the Contest (collectively, the “Contest Parties“). On March 25, 2019 (the “Finalist Draw Date“) in Winnipeg, Manitoba at approximately 12:01 p.m. CST, one (1) eligible finalist (the “Eligible Finalist“) will be selected by random draw from among all eligible Entries submitted and received in accordance with these Rules. The odds of being selected as the Eligible Finalist depend on the number of eligible Entries submitted and received in accordance with these Rules. There will be one (1) Grand Prize (the “Grand Prize“) available to be won consisting of a trip for two to Ireland including, flight, hotel and taxes valued at up to $3000 OR $2500 cash (winner has discretion to select cash option if they would like).